In this comprehensive, accessible and beautifully illustrated book, Frank Sear traces the evolution of Roman architecture during the four centuries from the late Republic to AD 330, when Constantine moved the empire's capital to Constantinople. With over 200 diagrams, maps and photos, this lucid and eminently readable account is a detailed overview of the development of architecture from Augustine to Constantine. * detailed exploration of key Roman sites including Ostia and Pompeii. 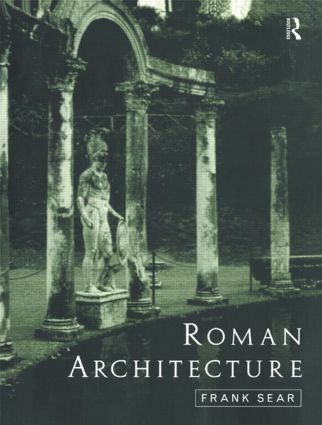 In high demand since its initial publication, this book will not disappoint in its purpose to educate and delight those in the field of Roman architecture. Frank Sear is Senior Lecturer in Classics at the University of Melbourne. He is the author of Roman Wall and Vault Mosaics and has worked on archaeological projects in Rome, Pompeii, Sicily, Jordon and Libya.